In a no-stick sauté pan, lightly toast garlic, add rice and sauté till hot. Meanwhile, in another pan, lightly sear 2 generous slices of Spam until crispy and brown. Remove Spam from pan and add the eggs. 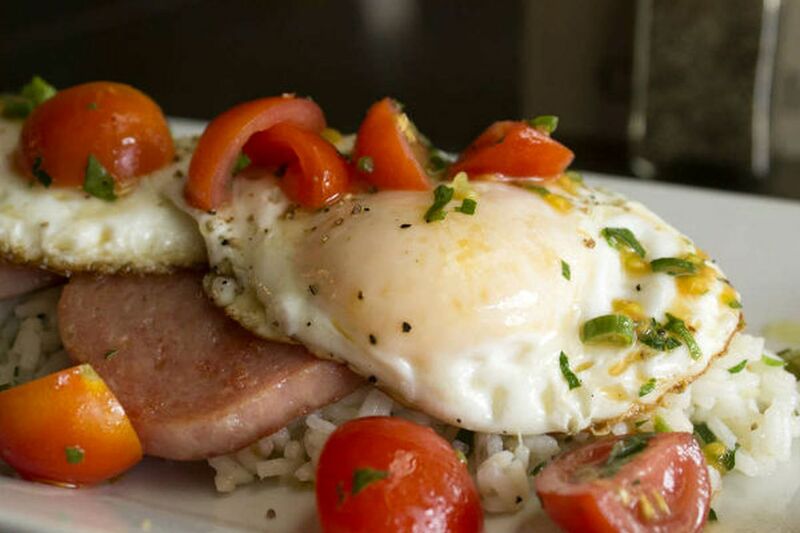 Place cooked rice on bottom of plate, top with Spam, then two eggs; top with seasoned tomatoes.